Snick – snick from third to fourth like playing a one-armed bandit the three cherries on the rev counter all flicker for a instant in my peripheral vision but my eyes are focused on the sinuous B road and I’m constantly scanning ahead, recent floods have left the surface pock marked with craters. But beneath the concentration you can see on my face the faint outline of a grin – perfectly understandable because I am behind the wheel of my very own 2012 Elise S.
Probably the easiest way to explain how I came to trade a perfectly good 2011 Morgan V6 Roadster for a Lotus is to look back over the last 50 years or so and it soon becomes evident that sports cars and low volume manufacturers are a feature of my motoring DNA. At the time I was born my parents owned a Bristol 400 DHC so from that point onwards anything else was going to be mainstream. Fast forward through my Dad’s TR’s MG’s, TVR and Porsches and my penchant for motorcycles, ending with a KTM Duke, to four years ago when I bought a Sigma engined Morgan 4/4 Sport from Williams of Bristol. Another 4/4 followed and then the Roadster. All was well until last August when a fellow Morgan owner asked if I fancied the Hethel factory tour. To be honest it was the Evora that caught my eye, having spent the ‘summer’ with the Mog’s hood firmly in the up position the V6 coupe seemed an attractive proposition but the downsides – a very tight fit in my garage and the potential running costs, especially with 19″/20″ tyre option and ‘S’ road tax cooled my initial enthusiasm. Running two other cars as daily drivers meant I needed to keep an eye on my outgoings. 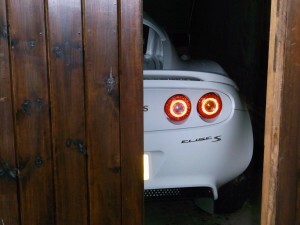 Now if you believe what you read in Top Gear the only Elise in town is the 1.6 and as capable a little car that it undoubtedly is I had got used to 230bhp in the Morgan and would feel short changed with anything less. 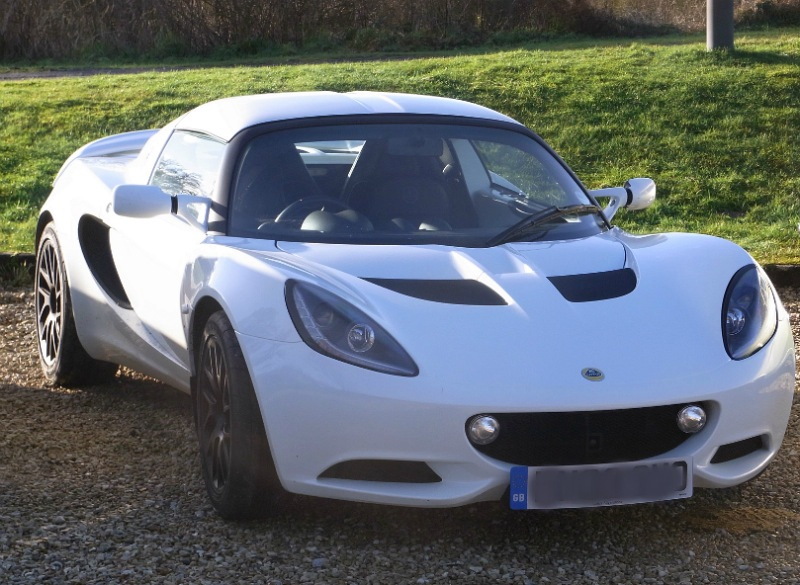 Fortunately I had read a comparison of the new Elise S and Elise SC on SELOC, and even more fortuitously the nice people at Lotus Silverstone had just registered an Aspen White Elise S with Touring and Sport Packs. One short test drive, one red Roadster in part-ex plus a few ££ and by the first week of November last year I was getting to grips with the Elises famed steering and road-holding. Compared with the Morgan, (don’t be fooled by appearances – it’s a very rapid ground coverer despite following pre-war doctrine of wobbly chassis coupled to almost non-suspension) the Lotus demands a different cornering technique. Malvern fashion is brake late in a straight line, apply the correct amount of lock, feel the flex and make the adjustment, open the tap – predictable, fast fun and able to surprise people. at a higher tempo and flows through corners like a bead of mercury, the long stroke supercharged engine quiet and refined. Some may find it a little too quiet, but I prefer it to the rasp of some sports exhausts. Certainly not unwelcome is the Sports Pack’s forged wheels and firmer set-up, but still supple if a Morgan is your measure, along with the added Sports mode for the Lotus’ DPM system. To be honest I won’t be ready to pass judgement until I’ve covered more miles, and with the Spring only a cope of months off more miles is what I’m really looking forward to.